Found it an wonderful opera of surprising quality in an awesome performance. 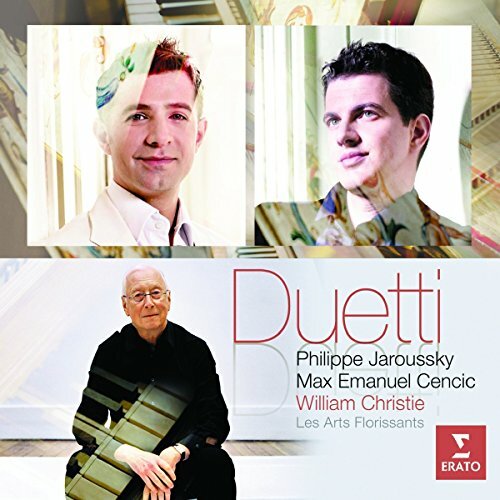 My fist encounter with Cencic (the lead is by Jaroussky). Might give some more impressions later, or look up previous ones. This one with Jaroussky ought to be worth a look, too. I have this one. Time to give it another spin. Thanks Que & North Star ! 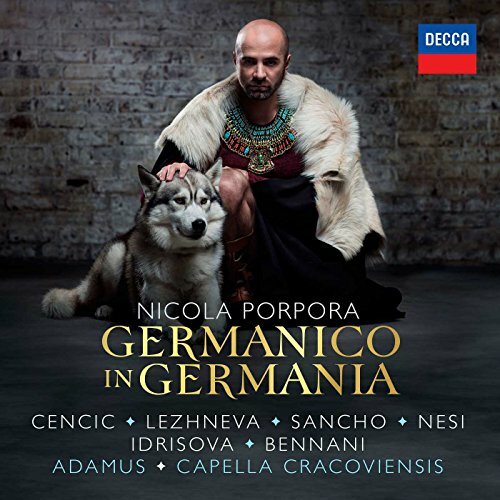 I found listening to Germanico in Germania most enjoyable thanks to a superior cast of baroque singers. On the other hand, if you think that Porpora was a contemporary of Josef Haydn, there is not the slightest premises of the classical period in his music. Porpora was a composer firmly anchored in the baroque era mostly concerned in developping "le beau chant". And of course when you listen to this opera, you find that this is just perfect. Hi Spineur, not to be pedantic but Porpora was a contemporary of Bach, being born in 1686. But he died in 1768. A very long life for the period. I wouldn't say that either Handel or Rameau (who died just 4 years before Porpora) are contemporaries of Haydn. Porpora was a baroque composer in style and time, like Handel and Rameau. I was quite curious to see how Marc-Antoine Charpentier, a deeply religious man would approach this biblical story around homosexuality. 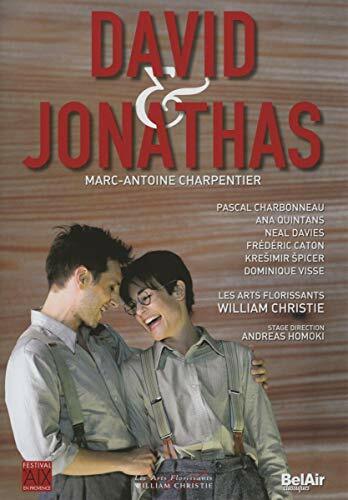 It ends up by being a rather poignant love story, David sung by Pierre Charboneau (fantastic in the role of David) and Anita Quintas as Jonathas. Gorgeous music, wonderfully interpreted by Les arts Florissants under William Christie. The staging is rather undecipherable to me, but isnt obstructive in any way. The only reason to get the DVD is for the acting. Philippe Charbonneau is a great actor and singer. There is a CD version of this production, which is a real option considering the total neutrality of the staging. 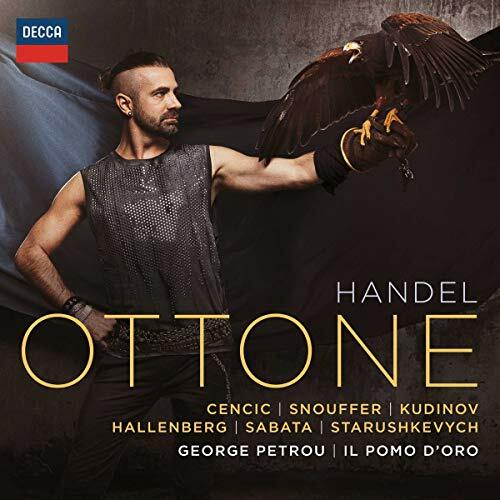 Händel, Ottone. Great cast: Cencic, Snouffer, Kudinov, Hallenberg, Sabata Il Pomo d'Oro led by George Petrou. I had never heard of this Händel opera before and was let to it by Germanico, also sung by Cencic. I checked there was 3 other recording of this little known Haendel opera. For me, the rediscovery of all this baroque repertoire is a marvelous achievement of the HIP movement. Max Emmanuel Cencic in the title role and a most illustrious cast around him. Diego Fasiolis leads quite a dynamic orchestra and never lets down the pace. Most notable: the diction. I can hear distinctively every word here which makes the text intelligible to a non-italian who understands this beautiful language. I have all those (David & Jonathas DVD, Ottone, Farnace) on my piles, but these days just don't do much opera, and even less baroque opera (live I'll be catching "La Scala di Seta" next, nothing baroque on the schedule, but also "Idomeneo" and Holliger's new "Lunea"). Do you like Jacobs in Monteverdi better than Garrido? Generally speaking yes. Garrido sound is lush and exotic (to my ears). It suits L’Incoronazione di Poppea best. 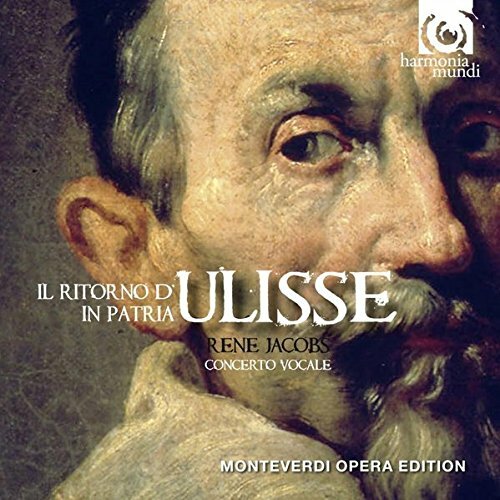 But Ulysse is a rough and shrewd character and Jacobs capture this side of Ulisse well. Also Jacobs chose for the missing part of the score music from other Monteverdi works that blend very well with the work. Just finished listening to Cavalli's La Calisto in a performance by Rene Jacobs and Concerto Vocale. I have mixed feelings about it. It took three sessions although I enjoyed Acts II & III a lot more. Possibly the unsympathetic nature of most of the characters had something to do with it. I found Act I heavy going at times though the rest contains some ravishing music. Enfers: Stephane Degout, Pygmalion, cond Raphael Pichon. This is a concept album with a difference. And it does belong under both opera and vocal categories. The opera consists of arias and choruses by Gluck and Rameau, Phedre, Pluton etc, interspersed with movements of a recently discovered requiem mass. This creates an overall mass sequence described as sacred and profain. The music is divided into Introit, Kyrie etc. The latin mass elements were created anonymously in the 18th cent; appropriating the music from Rameau’s Castor and Pollux. Close to the start a suitably sepulchral mood is achieved via a very fierce performance of Rebel’s Chaos. That is the only piece by other than the two composers previously mentioned. Degout carries the bulk of the solo work, a handful of other singers take relatively minor roles. Now all of that reads as though this was either heavy going academic work or a gimmick. Bt it works superbly. The whole disc hangs together terrifically well. It is a long way from an album of miscellaneous arias or of Baroque pieces. The drama of the arias drives the sequence forward and the mass proper contains beautiful and of course high quality music. It feels like the performance of one piece of music. Everything works superbly, soloist, orchestra and choir. There is a detailed booklet on the music and the ideas prompting the disc. It would make a terrific concert, luckily, we can however hear it at home.